I do check my local gardening clubs speakers list sometimes to see if there'd be anything I'd be interested in (although I'm not a member). 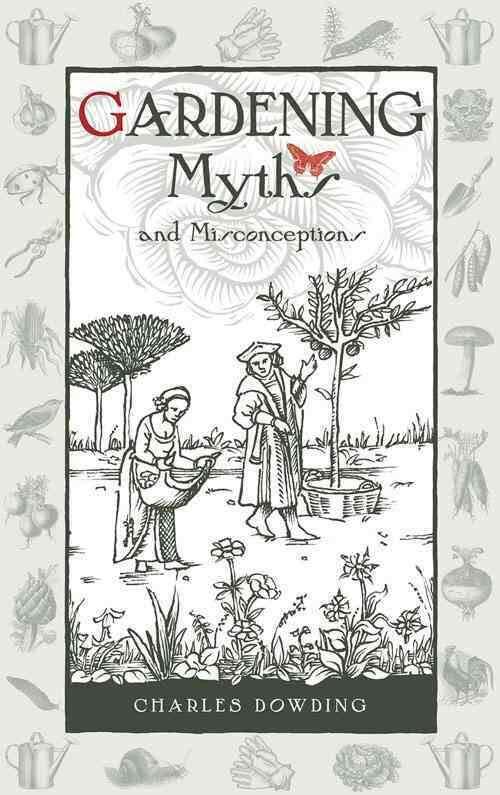 I saw earlier in the year that Charles Dowding was doing a talk on gardening myths and misconceptions (he has a book of the same title), and as I'd long been a fan of his and owned one of his books I decided to attend. He is best know for his work on promoting the "No Dig" method of gardening. The village hall was packed out - I think they had over 140 in attendance and he didn't disappoint. He's certainly a well practised speaker and delivered an interesting and witty talk about trying to avoid some of the misguided wisdom that we sometimes inadvertently follow. I was quite pleased as many of the things he mentioned I already do, although maybe not to the level he does (the no dig is an example of this as for the area I garden it's hard to find enough compost and organic matter to cover all the beds with 3 inches). I was also pleased to hear that he puts nettle roots into his compost and doesn't suffer from nettles popping up everywhere, something my mother always tells me off about if she's round when I do it! He also talked about the pointlessness of netting melons, ho you can compost blighted tomato leaves, and using fleece to protect crops, not hardening off as he plants out. It was a really enjoyable talk and I recommend anyone that gets the chance to go and see one of his talks, he also has a great YouTube channel here as well with some really informative videos on there. I like any gardener that tries to break the norm and generally make our lives a little bit easier and he's certainly one of those! Who have you seen as a really interesting garden speaker? I've borrowed some of his books from the library the winter veg one sounded good - but can't remember what it said now! My bad phrasing, it was about how good fleece was rather than hardening off! I've altered that bit now as it didn't make sense! He sounds really interesting I'll take a look at YouTube. Thanks Kev. I'll check him out on YouTube too. It's always amazing to us, after gardening for over 25 years-how much we still don't know. He sounds fascinating, I'd loved to hear him speak. I think my gardening club is too small to book him, perhaps we can join forces with the WI?! I think fleece sounds like a great idea. I never manage hardening off- I don't have time to move plants in and out for ages. I tend to just leave all the doors and windows open on the greenhouse instead. I can't manage full no-dig on the allotment either, but create patches of no-dig instead. I find that there is no need for endless, back-breaking deep digging (& that's on a very weedy allotment site where everything blows in onto your ground) & can totally see the sense in not constantly disrupting the soil structure. Dowdings book on 'all the year round salads' is interesting with a very full range of suggested salad leaves to try at any time. Friends of ours went to hear him speak and found him really interesting too. They came away fired up with enthusiasm for their new allotment. I've left our local gardening club as the talks were of absolutely no relevance to what we are doing, all about rose gardens and collections of snowdrops. The one good talk that made me join in the first place was all about the many uses of herbs.